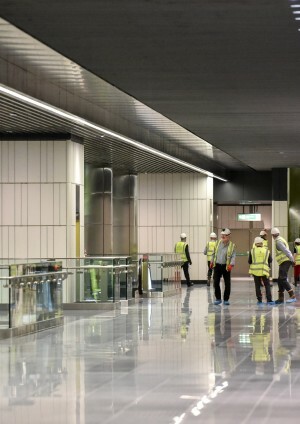 Alongside Health and Safety and Environment, Quality is of critical importance to Crossrail. Every instance of poor quality compromises safety, takes time and effort to resolve, increases cost and distracts attention from driving the programme forward. Implement review, surveillance and audit programmes to monitor compliance with requirements and assess the effectiveness of the arrangements. 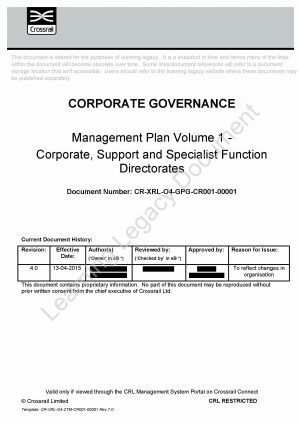 Appoint a quality manager, who is a chartered quality professional (or equivalent) and will act as the principal point of contact for quality Management issues. The requirements in the Works Information are over and above the industry norm and are intended to ensure that contractors are resourced correctly and have established systems to deliver quality. 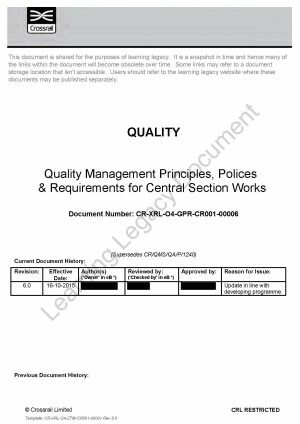 A learning legacy paper on Supply Chain Quality Requirements reviews the quality resources and systems used in Crossrail, the supply chain requirements within the Works Information, management of quality during construction, the self-certification process implemented and the quality culture across the programme. One of the early concerns faced by Crossrail was the lack of skilled quality professionals in the construction industry. Hence the Crossrail Quality Professional training programme was developed in partnership with the CQI to address the skills gaps. A learning legacy paper on Quality Professional Resourcing and Development shares details of the training scheme, the results and lessons learned for use by future projects. 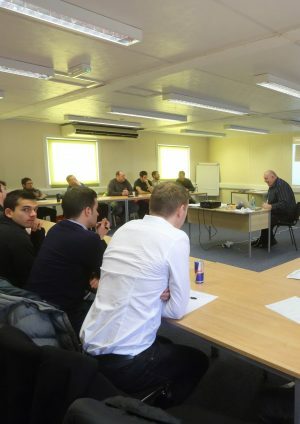 A one day training course was also developed on non-conformance reporting and root cause analysis. 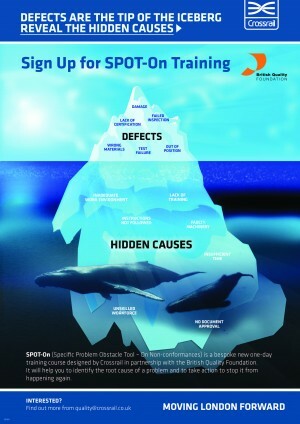 Details of this ‘Spot-On’ training can be found here. 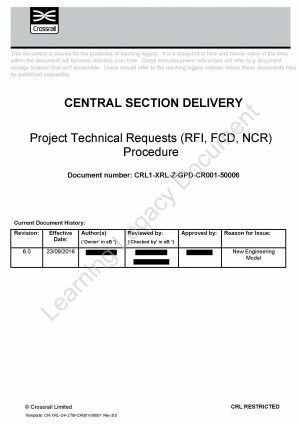 Crossrail’s approach to ‘getting the quality right’ was in the use of Inspection and Test Plans (ITPs) and self certification. 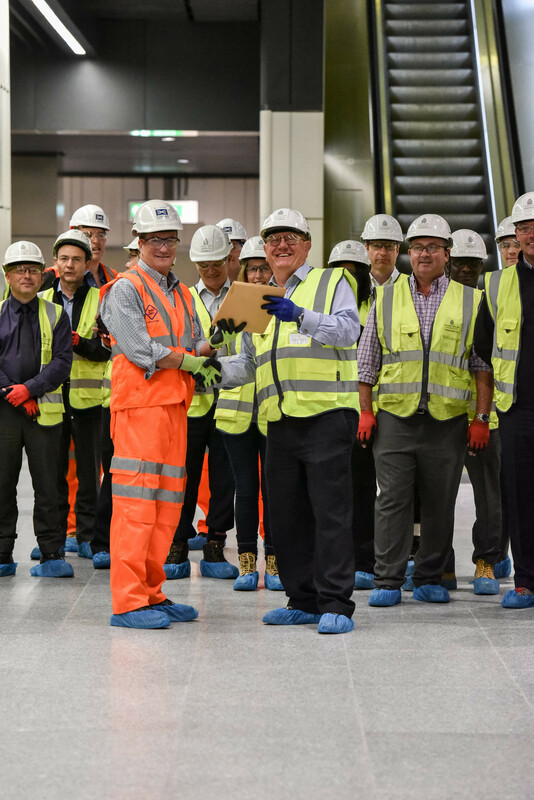 All contractors, sub-contractors and suppliers were required to produce and maintain ITPs signed off by the Crossrail NEC Supervisor. A learning legacy paper on Inspection and Testing and Self Certification, to be published in September 2017, will explain the framework for the production, implementation, monitoring and resulting production of certification. Corrective Action Reviews closed on time. 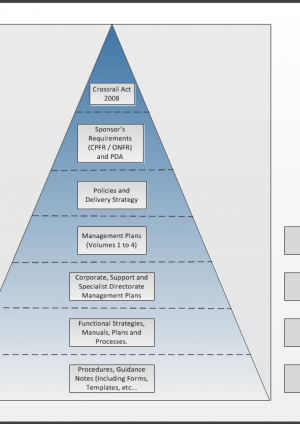 The QPI is published each period in a league table format for each Tier 1 contractor and is intended to provide visibility of performance to incentivise the programme the supply chain to improve through competition across which is an approach that has generally been successful as part of the performance assurance framework. 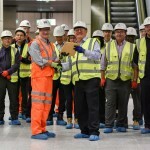 Crossrail has captured the cost of rework of each non conformity by estimating the cost to rectify defective work against the total cost of work completed across the programme and per contract. Analysis of the cost of rework reviews the overall cost and the importance of providing visibility of this cost on the programme. Crossrail also regularly undertakes trend analysis to identify improvement initiatives. 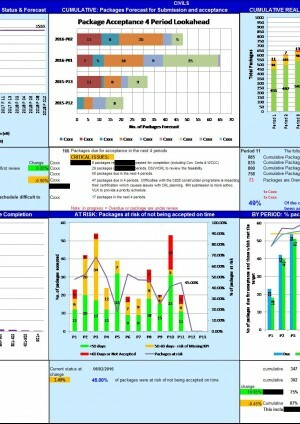 A detailed trend analysis of all NCRs is planned. Crossrail communicates quality trends and improvement initiatives using Quality Alerts which are shared across the programme and it runs a Quality Week which is a means of engaging with the supply chain on quality matters. 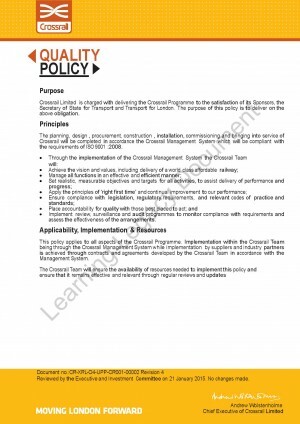 The Crossrail Quality Policy sets out Crossrail Limited’s commitment and approach to Quality.